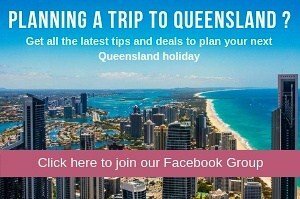 Are you looking for one of the best farm stays Qld has to offer? 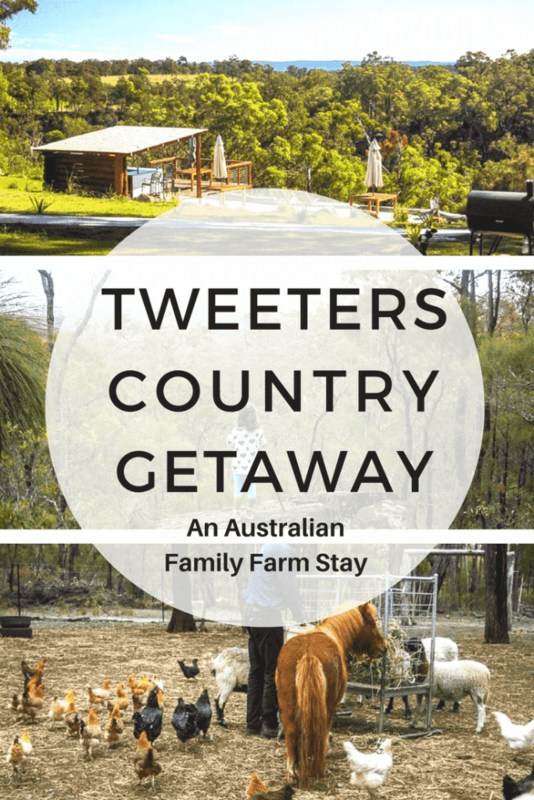 Well look no further than Tweeters Country Getaway. 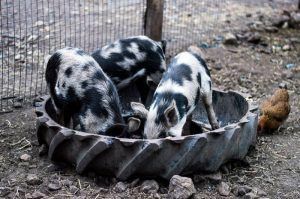 This place is ideal for the whole family – the furry members too as not only is this place one of the best farm stays for kids but it is one of the few dog friendly farm stays as well! 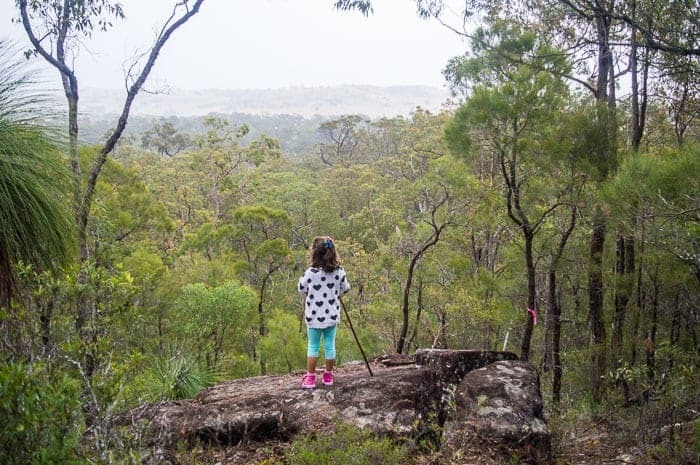 Kids (and parents) are going to love exploring this 72 acre natural wonderland with a 85 metre gorge with caves, the native bush land and feeding the farm animals. 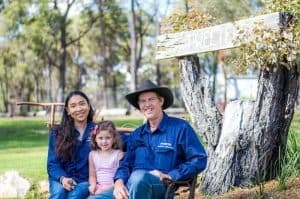 The owners Thuy and Peter are fantastic with children and are only too happy to teach the kids about life on the land by letting them get involved in hands on activities. With the kids occupied parents can laze around the property enjoying the peace and quiet of the countryside. 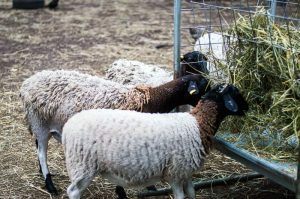 The best part about farm stays for kids, is being able to feed all the farm animals. 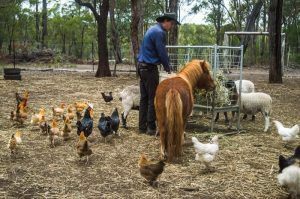 Every morning and afternoon, the kids can help Peter feed the pigs, sheep, goats, ducks, chickens and even a pony. 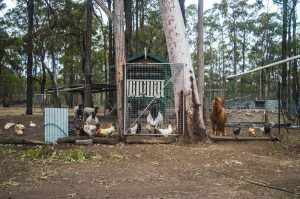 After feeding the animals, the kids will love visiting the hen house to fetch the eggs that the hens have laid. 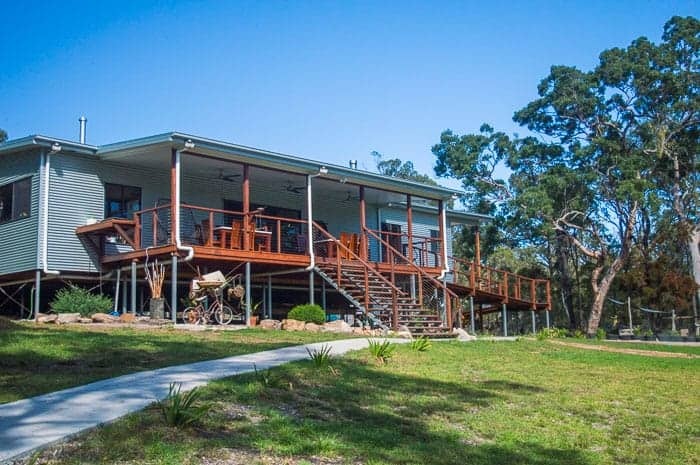 Tweeters is situated on a massive, 72 acre property complete with 85 metre gorge and creek. Guests have the choice of 2 different walks being the full gorge circuit or the cliff walk. 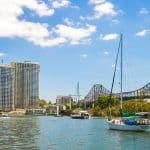 The full circuit gorge walk takes about 2 hours and takes you down the 85 metre gorge, across the creek and up the other side of the gorge to a gorgeous look out where you can see across the whole region. The cliff walk takes you down one side of the gorge and past the gorgeous cliff face, you even pass a cave. This walk takes about 45 mins. The walks can be challenging in areas and it is recommended that you have good walking shoes and make use of the walking sticks which are provided. Myla did the walk with ease, but I wouldn’t recommend it for kids much younger than 5 unless they are confident little rock climbers. If you can, get Peter to take you on a guided walk. Peter took us on the full gorge circuit walk and taught us about the various trees as well as pointing out various animal tracks. 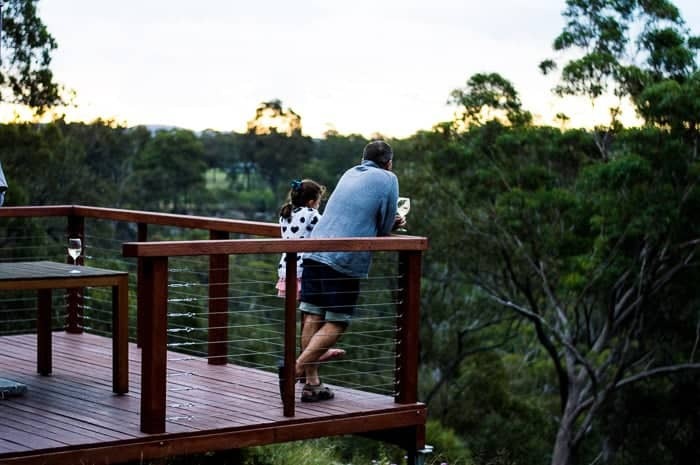 Given the property sits high above a gorge, it is an ideal location to sit back and watch the sunset. You can either grab a sit on the veranda or watch the sunset from the cliff top bar. 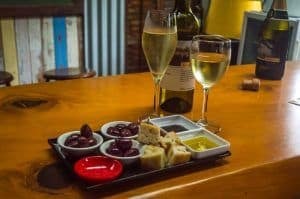 Tweeters Country Getaway is fully licensed and serves fantastic wines from the region. 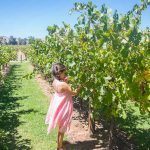 There are 2 local wineries Bunnyconnellen and Hollands wine and we sampled both during our stay . For the kids, Tweeters serves up some soft drinks from a local manufacturer too. Whilst the playground here might not be the flashiest, the simple swing and old school slide is enough to keep the little ones happy for a little while. One of our all time favourite things whilst at Tweeters would have to be eating the delicious food made by Thuy. During our stay for morning and afternoon tea we were served tea and coffee with homemade fruit cake, fudge and rocky road. Myla could not stop eating the fudge! Dinner on the first evening Thuy made us a fantastic 2 course Vietnamese meal with a delicious caramel tart for dessert. On our second night we enjoyed a good old fashioned aussie BBQ, followed by another delicious dessert which was Peter’s mum’s recipe. For breakfast there is a variety of fruits, toast, homemade jams and cereals. Thuy is also only too happy to make you bacon and eggs. Thuy is a fantastic cook and is only too happy to modify the meals to suit little fussy eaters. Breakfast is $12 per person, lunch is $15 per person and dinner is $20 per person. No need for the kids to bring any toys with them as Thuy and Peter have got this covered too. In the kids room there is storage containers with various toys for the kids. Myla loved having something new to play with. As the sun goes down and the temperature drops its time to get toasty by the fire. Kids will love helping Peter collect wood for the camp fire and even having a go at camp fire cooking. 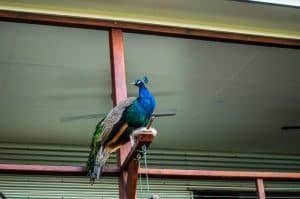 The property is home to some beautiful Australian birds including King Parrots, Galahs and even a couple of peacocks. Peter and Thuy attract the birds with seed so you have the optimal viewing point as they fly in to eat right in front of you on the veranda. Kids will love watching the two resident peacocks roam the property. Fantastic opportunity for the kids to get up close to some gorgeous Australian birds. 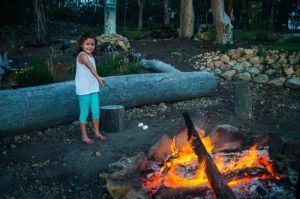 Whilst sitting around the camp hire the kids will love roasting marshmallows and eating them! One of my favourite things about weekend family getaways is having a bit of down time by reading a book or magazine. There are multiple spots around the property to read a book such as the veranda, by the cliff top bar or even curled up on the comfy couch by the fire. You don’t even need to bring your own book as Tweeters have a great range available for guests to borrow. Grab the kids and get an old school game of dominoes, naughts and crosses, uno, or a board game going. An ideal past time on a cold day by the wood fireplace. The property at Tweeters is home to some gorgeous native Australian animals like koalas, wallabies, bandicoot, echidnas and dingo. You can try your luck to spot them during the day – Peter and Thuy know all their hiding spots. Better still go out at night time with a spot light when the animals are more active. Directly across from the house, on the other side of the gorge you will spot a picnic table on the cliff top. The secluded picnic spot even has a fire pit complete with billy and water so you can make yourself a cuppa whilst you admire the views. Kids are going to love helping Peter out with chopping wood around the property. Not too many city kids have witnessed a whip cracking demonstration. Peter will show the kids how its done and let them have a try for themselves. All good Australian families love a game of backyard cricket – Peter and Thuy have the ideal cricket pitch for your family to have a game. 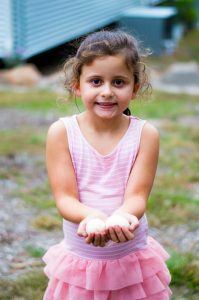 If the kids are game, Peter will take them down to the creek to have a go at catching some yabbies. 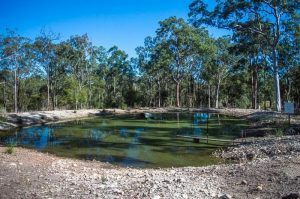 On a warm summer’s day the kids can splash about in the property’s own dam. Tweeters is also home to gorgeous dogs Chili and Pepper. These dogs are super friendly and dog loving kids will love playing with them. Tweeters has its very own shade house full of organic vegetables. 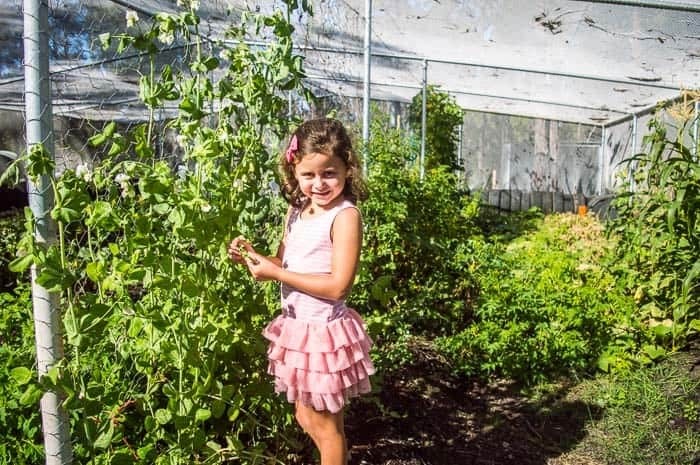 Peter and Thuy are happy to take the kids to pick their own vegetables which Thuy then works her magic and turns into delicious meals. Peter and Thuy have also just planted a variety of fruit trees in an orchard, so hopefully in time the kids can pick their own fruit too. On a warm day and when the creek is flowing, take the kids to the bottom of the gorge to splash about in the creek. Peter is well educated in native Australian fauna and is only too happy to give the kids are lesson. Tweeters has room for 8 adults and 8 children which makes it ideal for large gatherings. There are 4 queen sized rooms and 2 kids rooms which have 2 sets of bunk beds in each. Each room has its own ensuite and walk in wardrobe for your personal belongings. Families are going to love how the kids rooms interconnect with the queen rooms, so the kids will feel safe knowing their parents are close by. These rooms can be locked off when its not necessary to have them interconnecting. For those families wanting a little more privacy, 3 of the rooms have their own private entrance. The house also contains a fully accessible disabled room complete with disabled bathroom. Each room is $150 per night with discounted rates available for multiple nights. 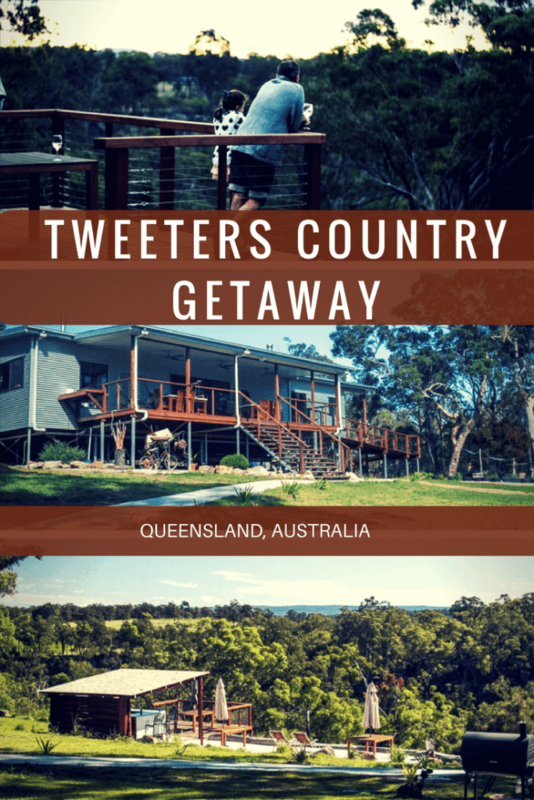 For example a family of 2 adults and 2 kids can enjoy 2 nights at Tweeters for $540. You can book your stay with Tweeters directly or book here. 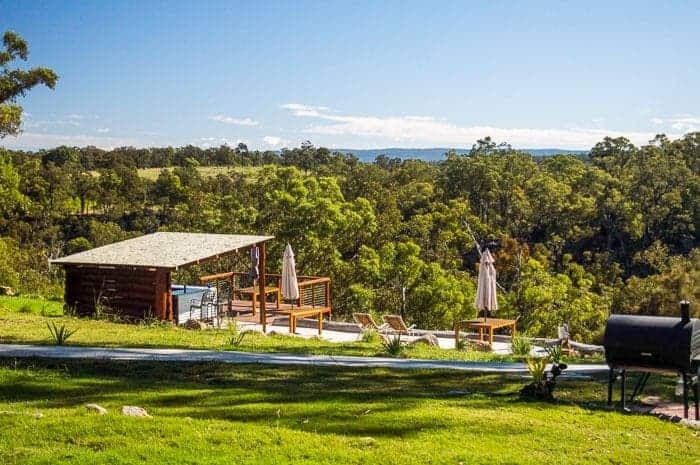 Tweeters Country Getaway is located 2 hours west from the Brisbane CBD in Glenaven in the Toowoomba Region. I highly recommend that when driving from Brisbane you go via the Brisbane Valley Highway past Lake Wivenhoe. This drive is so picturesque and the 2 hour drive will fly by. 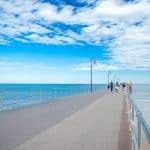 There are plenty of little country towns you can stop in for a cup of tea or something to eat. 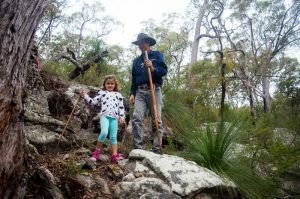 Crows Nest National Park – various walking tracks past water holes and water falls including Crows Nest Falls. 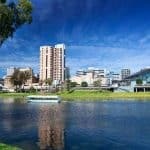 Palms National Park – walking tracks with birdlife, wallabies and flying fox. Click for further information regarding things to do in the area. We thoroughly enjoyed our weekend stay at Tweeters. Thuy and Peter are so kind and generous and it felt like staying with family as opposed to a farm stay. Myla absolutely loved it at Tweeters and it was great seeing her running around the farm stay getting dirty and loving it! She adored Thuy and Peter and followed them both around the entire time we were there. For me, I just loved sitting back and relaxing. The property is stunning and I could look out across that gorge for hours. 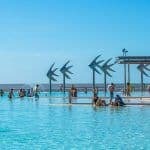 I also love the fact that it is pet friendly so families can bring their dog with them for the weekend and the furry family member can join in all the activities around the property. 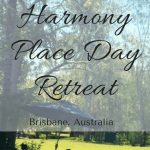 I highly recommend Tweeters for families seeking an action packed weekend or for couples wanting to relax. 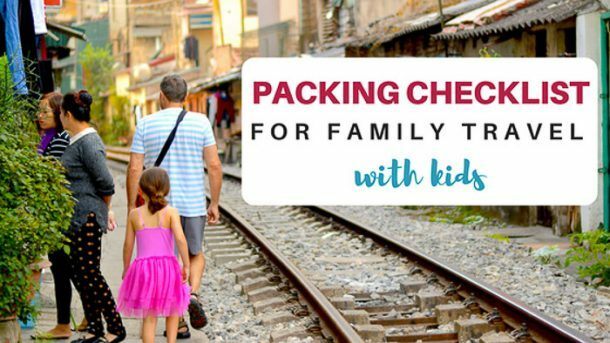 This is the EXACT checklist we use when we travel with everything fitting into carry on bags. 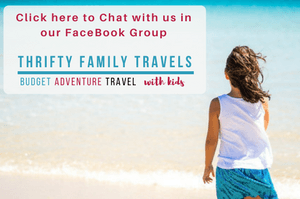 Plus get all our top tips including must see family friendly destinations, where to stay, budget guides and much more! Great article Melissa, beautiful photos. Keep it up hey.